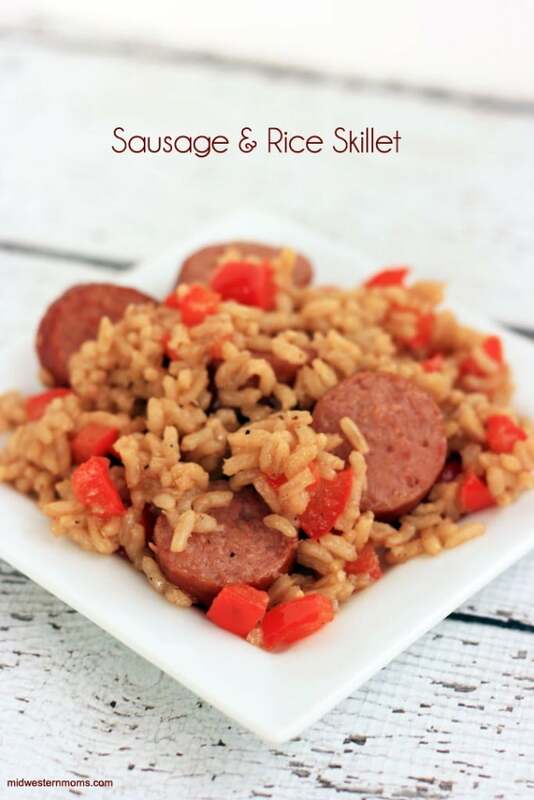 Easy and quick Sausage and Rice Skillet Recipe perfect for weekday night meals. During the week it can be hard to come up with a tasty meal that can be done easily. That is why I love fixing a sausage and rice meal. It is simple and easy to throw together and it uses one dish! Less time cooking and cleaning gives me more time to speed with my family of an evening. 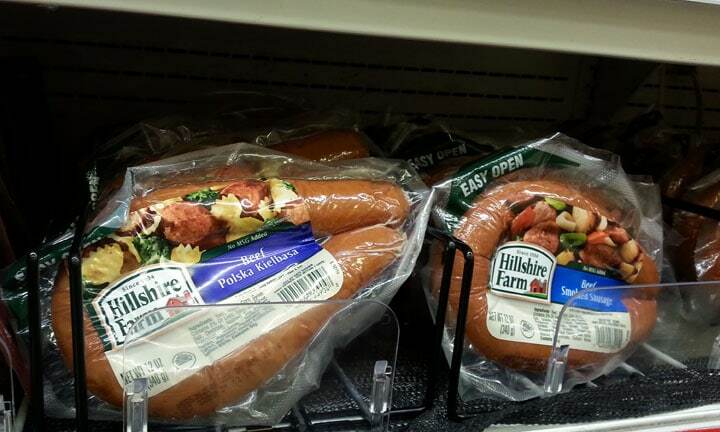 I like to pick up a HILLSHIRE FARM® BEEF POLSKA KIELBASA SAUSAGE at Target in the meat section. I also used Target’s CARTWHEEL to save 20% on the sausage I purchased! 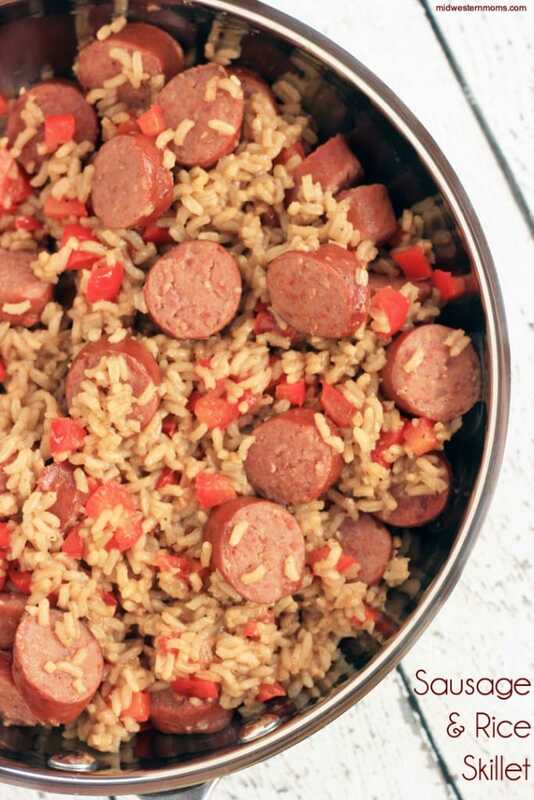 Then all I need is to grab up a couple other items to make this delicious sausage and rice skillet recipe. The reason I chose the Hillshire Farm® Beef Polska Kielbasa Sausage is because I knew it had a great flavor and spice. It goes perfectly with rice. 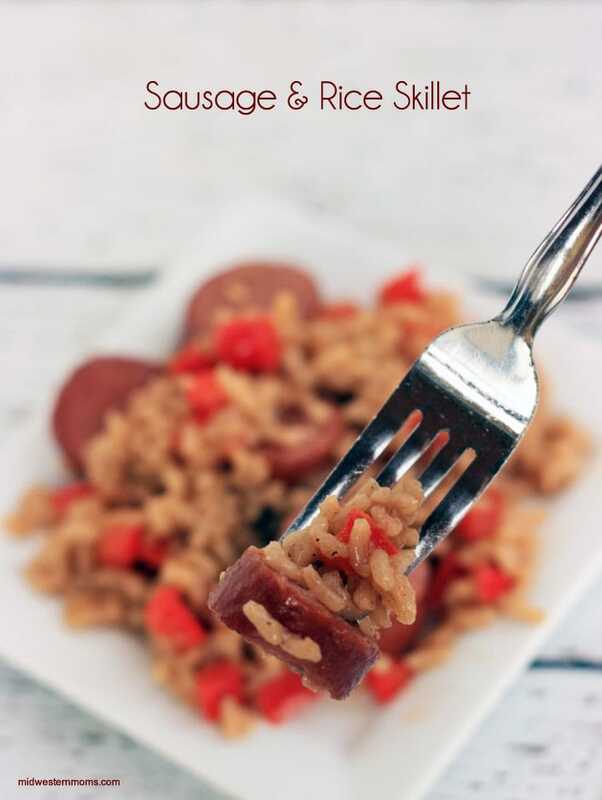 Easy Sausage and Rice Skillet recipe perfect for dinnertime. Hillshire Farm® Beef Polska Kielbasa Sausage, 12 oz. Cut your Hillshire Farm® Beef Polska Kielbasa Sausage into 1/2 inch chunks. 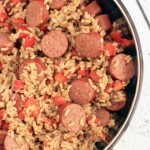 In a large skillet, sauté the chunked sausage until lightly brown. Remove the sausage chunks and place them on a paper towel lined plate. If you have drippings, keep 1 tablespoon worth in the skillet. In the same skillet, sauté the red pepper and garlic clove together – about 4 minutes or until tender. Once the broth is boiling, add the rice, salt, pepper, and cooked sausage. Cover and cook on medium-low heat until the rice is cooked – about 5 minutes.